written by Mary-Joan Gerson, illustrated by Carla Golembe. A Mayan creation myth, this tale from Guatemala relates the Maya affinity for corn, which is the spirit of life. In the beginning, Plumed Serpent and Heart of Sky create humans from sacred corn, and to this day they celebrate the event with each harvest, as related in the Popol Vuh. The sacred document, whose stories stretch over several thousand years, traces the origin of the earth and its people and the progression of the Mayans in Guatemala. 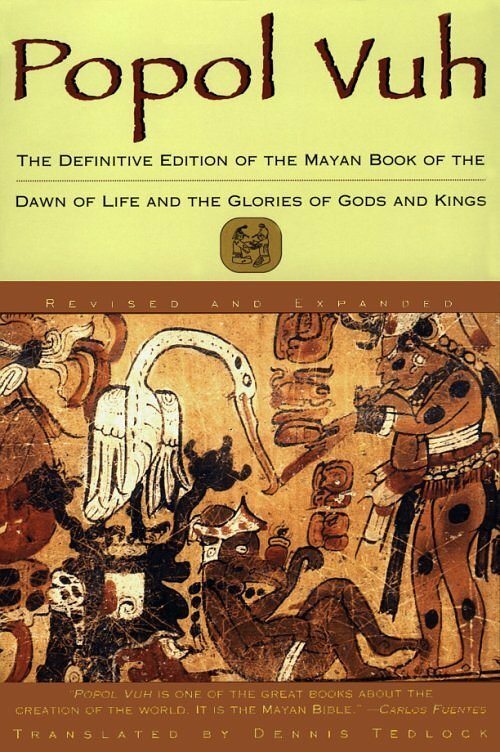 Includes Maya culture, retion, history, gods, writing, numbers, calendar, resources, etc. The codices (writings) are made from tree bark that has been flattened, covered with a lime paste & folded accordion-style. They are usually written on both sides.